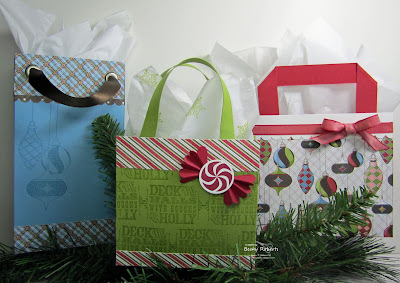 Making your own gift bags couldn't get any easier! 2011 Edition of the 12 Days of Christmas is now available! 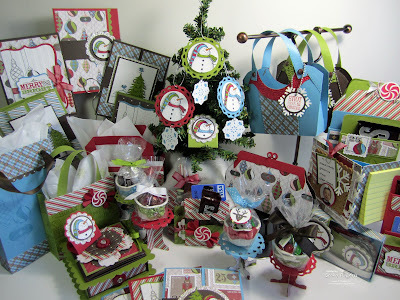 The 12 Days of Christmas 2011 tutorial contains the written instructions, patterns and step by step photos for creating all 12 projects previewed from October 1-12, 2011. You can order tutorials from the right hand sidebar or on the tutorials page. Woo Hoo!!! Thanks Becky for all your inspiration and creativity!! Already bought your 12 days of Christmas. Couldn't wait till this went up for sale. Thanks so much for your wonderful projects and your reasonable price so that us poor folks can afford it too. lol Thanks again! Am I the first one to get it? I love the little gift bags! too cute. You amaze me with your creativity! Printed my instructions last night. Thanks for doing such a wonderful job of making all these projects. I can't wait to get busy making some of the gift card wallets (pocketbooks) for my girlfriends.